As I mention pretty constantly, I am naturally wary of a single product promising to be a blend of multiple different products. Firstly, there may not be enough of the whitening ingredient(s) to actually have an effect on you (see my explanation in the Ingredients List section). Second, you won’t be using nearly enough BB cream for it to provide proper sun protection! Stephen at KindofStephen mentions that you may need, ideally, about 2 mg of sunscreen per cm2 for you to receive the actual SPF on the label. Plus, you’ll need to reapply your sun protection product every 2~4 hours to keep the full coverage and protection due to sweat, wiping, the mechanics of how sunscreen works with UV rays, and so on. But anyway, this is not a sunscreen post! All I’m saying is, do not rely on makeup to double as your sunscreen. My point is, until we advance our skincare technology, I am going to continue to be wary of these shenanigans. Sorry! This has silicones, which I know some of you may be sensitive to, and a few other potential irritants. It also has talc. 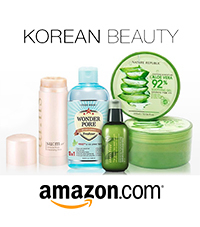 These darn pore-filling, skin-texture-altering products, eh? I’m also a little overwhelmed by the number root extracts and fruit extracts; it’s like they tried to stuff an entire botanical garden in this thing. At a certain point, I wonder if such minute amounts of each ingredient would actually allow any of these ingredients to have any effect at all. Finally, it looks like sodium ascorbyl phosphate (SAP), the only ingredient in here that I know lightens or brightens skin, may have a similar quantity issue. It’s way down in the last third of the ingredients list, meaning there’s a very low quantity of this in the cream, and making me doubt this BB cream’s “whitening” properties. By the way, SAP is a somewhat new, less-well-researched derivative of vitamin C compared to something like L-ascorbic acid—which you can find in the ever-popular OST C20 and C21.5 vitamin C serums—and is typically offers milder, non-exfoliating effects when used in skincare. To give you as accurate an evaluation of this BB cream alone as possible, I did not use any powder to set, or apply any other makeup that I would usually wear such as eyeliner or lip color. I like that this comes in a hygienic squeezy tube (though I’ve been spoiled by Missha’s pump tubes, cough cough). It goes on very smoothly. It is somewhat quick-drying. I was actually concerned that this BB cream would not match my face at all—you can see from the swatch that the ONE SHADE it comes in may be too light. It might pass as a concealer shade, but it’s just too light for my NC35~40-ish skin! But, again, let’s give it a shot before passing any ultimate judgments. Now, when I first put it on, there was a very distinct white cast. White, I tell ya! After about five minutes, though, I realized it just needed some time to warm up and sink in to my skin. You know, just like many other foundation makeup products. Woops. The coverage isn’t perfect, and the redness around the nose and of some healing CCs aren’t completely gone. But hey, it’s not a concealer, and it intends to offer a natural look, right? Besides, hyperpigmentation spots on my nose from my glasses’ nosepads are just historically stubborn. The still-red spots on my forehead and cheeks have faded satisfactorily. So, it indeed gives me the light coverage it promised to deliver. Plus, it lasted several sweaty hours (sorry, it’s been really hot) from around mid-morning to mid-afternoon, and this was without setting. As for the quality of that coverage, the BB cream lightly evens out my skin tone without being overbearing, feeling heavy, or settling into my pores. I mainly worry about the potential drying it can cause; if you aren’t oily like me, or if you don’t use a nice, dewy setting mist, this may make your skin look flaky or splotchy. Look closely at my nose and you may notice some slight flaking on the right side. Unfortunately, I did not feel that it helped control my sebum by itself. And trust me on that, because I just can’t shut up about being oily, right? From the before-and-after photo earlier, it looks like it reduced my shine along with the uneven skintone, but the shine came back after about an hour or so. (Granted, it’s been a very hot summer.) After my first couple of weeks’ experience with this BB cream, I would also recommend using a setting powder. This isn’t unique to this BB cream at all, though; if you don’t set properly, it can go back to greasy as usual for the oily life. By the way, do you guys want to see my BB cream dotting/application technique? On a serious note, you do want to avoid slathering or wiping anything on your face. Even sunscreen! For a more even application and less product waste, it’s better to apply it in strategic dots on your face and blend it out by either patting with your hands, or using a makeup blender/sponge, if it’s makeup. Even bigger dots than mine are perfectly acceptable. Anyway, that’s what works for me! I like to use either my fingers for the warming-up aspect, or a dampened makeup sponge for even better blending. I’m personally not sensitive to fragrances, but this scent may be a hint stronger than even I prefer. (Or is it just my nose?) It reminds me a little of a floral body lotion. Fortunately, it doesn’t linger, although I’m still really not sure why makeup companies even add fragrances, other than to counteract any offensiveness in the pre-fragrance formulation, I suppose. Hmm, maybe I just answered my own comment, huh? You can get this on Wishtrend.com for around $18.99~$24.99, depending on if you can catch one of their many sale events. Fun fact: Wishtrend’s parent company, Wish Company, actually owns Dear Klairs and is its primary seller. This is also sold by Wishtrend and fulfilled by Amazon for about $20. Considering many BB creams can go for $20~30 and up, this is about an average price for my personal standards. I guess I’ve really been spoiled by my trusty $10~15 Missha M Perfect Cover, eh? Still, it’s good to get out of a routine sometimes! Say hi to my fans! 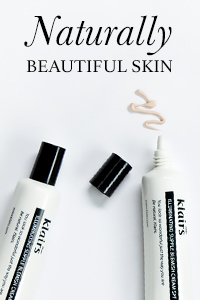 I am overall happy with the natural-feeling, light coverage the Dear Klairs Illuminating Supple Blemish Cream promises and delivers. 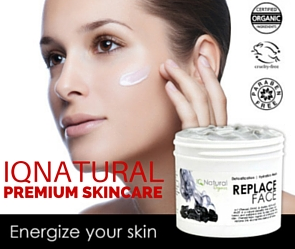 However, it skimped on the other skin-nourishing properties such as whitening, wrinkle care, and sebum control, which seemed to be large parts of the product’s claims. I completely understand their marketing purposes and all, and I am sure Dear Klairs gave it some heart, but it simply didn’t work out this time. Overall, it felt like they tried to do way too much in one single, simple, but perfectly OK product. It would have been fine just advertising the natural, light coverage! Plus, this only comes in one rather light shade considering Wishtrend/Klairs’ international reach; I was surprised to see it work fine with my skin. Anyone darker than NC40 or so would likely be out of luck, though. While I do sound a bit disappointed, I’ll have to say, I could actually continue using this until it runs out. With a proper setting powder (like the magical Innisfree No Sebum Mineral Powder…hnnng), this BB cream can get through the day, whether you’re running errands or having a casual day out. This may not work well for everyone, but if you catch a sale, go ahead and give it a shot. Be aware that it can exaggerate dry spots. Normal to dry skin types, and oily types with a mattifying powder, will find this to be an easy, unassuming, light-coverage foundation. Wow! I haven’t touched this because I assumed it would be too light for my NC25-NC30 skin, but this might work for me, especially during winter! Gotta love light coverage bases! I’m right there with you! Don’t think I’ve tried many products from Klairs, and this doesn’t sound like it’ll be the first I’ll try. But I loved this review, it had me giggling throughout with your honest descriptions! Haha, I’m glad you enjoyed it 🙂 It definitely ain’t got nothin’ on my trusty Missha Perfect Cover!